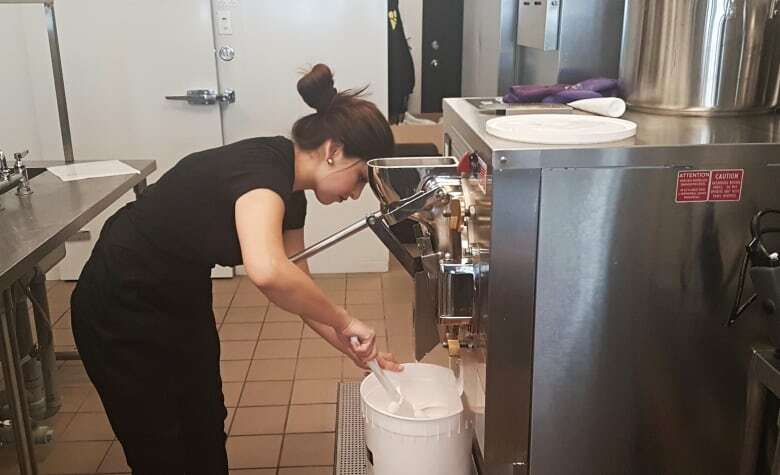 Daniela Mintenko has been churning out ice cream creations for the launch of Dandy's Artisan Ice Cream in Regina. Daniela Mintenko knew opening an ice cream shop in February would be a challenge, but had no idea it would end up happening during the coldest week of the year. 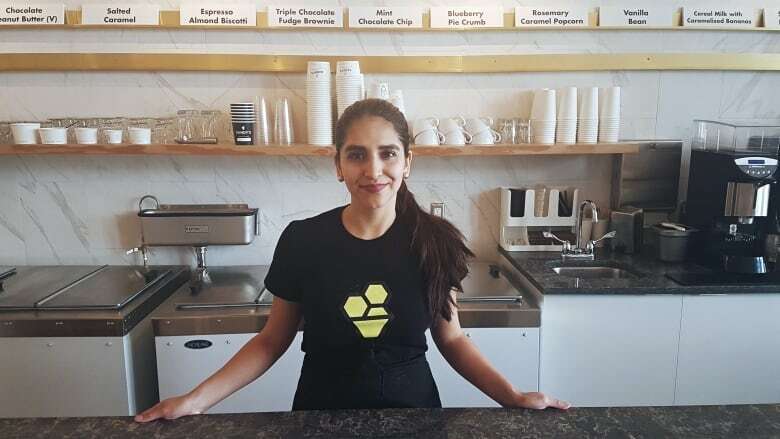 Mintenko has been churning out ice cream creations for the launch of Dandy's Artisan Ice Cream in Regina. Every batch is made from scratch with toppings — or as Mintenko calls them, inclusions — mixed in by hand. Ice cream was not Mintenko's original career aspiration. She attended John Casablanca Institute in Vancouver for fashion merchandising, but found a job in that industry wasn't making her happy. What was making her happy was ice cream. She was eating it about five times a week. "I asked myself, 'What is the next thing I enjoy?' and it was basically ice cream," Mintenko said. She found a course, Ice cream 101, in the department of Food Science at Penn State University. The annual program teaches the ins and outs of making the frozen dessert. Past students include the creators of Ben and Jerry's, Baskin-Robbins and Haagen-Dazs. After learning the science behind the scoop, she continued her education by getting her Pastry Arts Diploma at the Northwest Culinary Academy of Vancouver. "I wanted to make inclusions for ice cream because to me people want that bite in their ice cream, not just flavour," Mintenko said. She said she wanted to re-create the ice cream she ate growing up in Colombia. It came from corner stores and was homemade using local ingredients. "So when I try like big box store ice cream in containers, it just doesn't taste good. It tastes like fluffy milk," Mintenko said. "Typically, the ice cream that you buy from grocery stores, they do like a high over-run, meaning that there is a lot of air incorporated so you basically are not getting a really good product." She made her home in Regina in 2013 after meeting her husband and fell in love with the city. "It kind of reminds me of my country, it's just not as hot, but it's okay, I actually love the snow now," Mintenko said. Mintenko said she will make American-style ice cream, which is made from sugar and cream, without eggs. 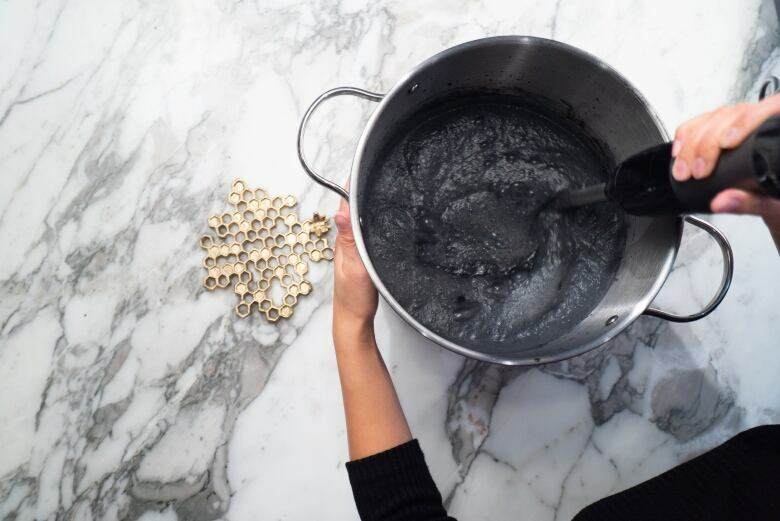 Her culinary schooling has given her a new perspective on flavour, leading to batches of rosemary caramel popcorn and coconut ash honeycomb. "I am sourcing the best ingredients I can find, we are working with local farmers and using the right techniques to create that crunch," Mintenko said. She is also making dairy-free, gluten-free and nut-free options so everyone can get a taste. Mintenko has been relentlessly pureeing, straining and steeping her flavours. Each batch takes about 15 to 20 minutes in her Emery Thompson machine. "We have been working a lot. 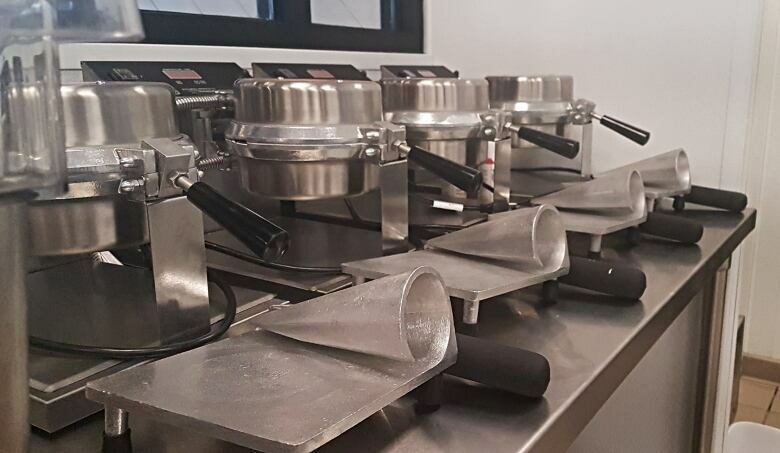 We have been making ice cream all night basically, but yeah, we are so excited to give you guys a taste of our ice cream and show you what real, real ice cream tastes like," Mintenko said.